This is for one bottle of Black Onyx chips. These are great for grid work, carry on you, mediation, sacred space or for your altar. Can be used in craft projects and jewelry making. These chips are undrilled. 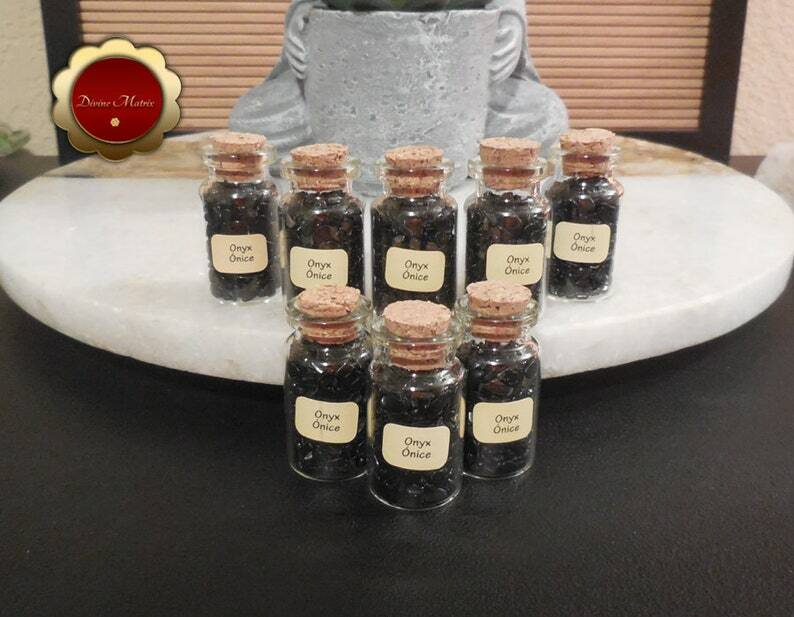 Each bottle is 0.2 floz (7 ml). Check second picture for size.. on average of 320 small chips in each bottle and from 1 to 5mm in size. These are high quality chips.. please read our reviews from the many customers who purchased from us. Black Onyx is a grounding stone and absorbs and transforms negative energies, neutralize negative emotions and mental stresses. Helps prevent the drain of your energy from low vibration being such as psychic vampires.